The mission of the Department of Biological Sciences is to foster an atmosphere that enables our students, faculty and staff to excel in the classroom, at the lab bench and in the field. To that end, our programs are designed to help students cultivate a life-long curiosity about biology while developing the intellectual and technical skills needed to pursue careers in biology. We offer B.A., B.S., M.S. and Ph.D. degrees in Biological Sciences. Our graduate students can focus their studies in two areas of specialization - Cell/Molecular Biology and Ecology. We also offer a certificate program in Conservation Biology. 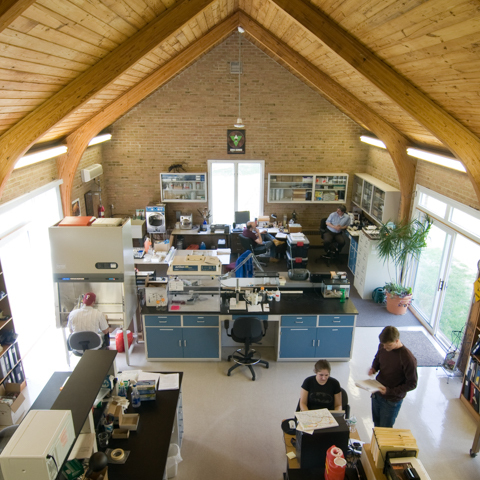 The department has research laboratories in Larkin Hall at the Rose Hill campus and at the Louis Calder Center - Biological Field Station in Armonk, NY. The Calder Center allows students, faculty and visiting scientists to study relatively undisturbed biological communities in close proximity to New York City.